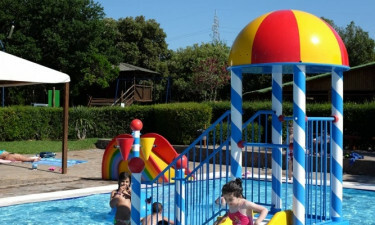 Perfectly situated between the forest and the sea in the Tuscany region of Italy, Camping Montescudaio is designed especially for nature lovers who also appreciate their creature comforts. This leading LUX-Camp boasts state of the art facilities to make getting back to nature a real treat, while the range of activities and amenities that can be enjoyed on the site is sure to appeal to the whole family. Perfectly situated between the forest and the sea in the Tuscany region of Italy, Camping Montescudaio is designed for nature lovers who appreciate comfort. 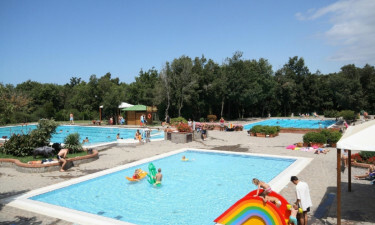 Why is a camping holiday at Camping Montescudaio so special? The onsite water park is the perfect place for guests to keep cool while having fun at the same time. A total of 3 large pools can be found here, with one very colourful swimming pool created just for kids, complete with water chutes for them to slide through, and water jets created in the shapes of different animals. Of course, most people travel to this part of Italy to spend their days soaking up the sun on the beach, and the long stretch of golden sand that can be found just a few metres from the campsite will not disappoint. Guests will be able to spend plenty of time simply spread out on the sand soaking up the sun during their camping holiday, while people who want to practice water sports will be able to rent the equipment they need. This part of Tuscany is home to a large number of large and lovely parks that are just waiting to be explored by nature lovers. 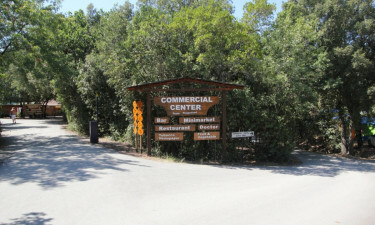 The Natural Park of Maremma is a real paradise for bird watchers. 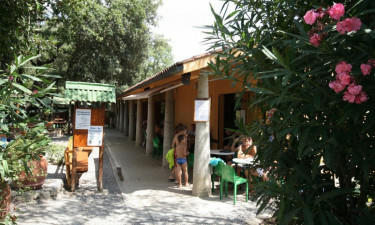 People who have an interest in the history of the area will be able to spend time exploring the Archaeological Park of Baratti and Populonia, which is set in a traditional Etruscan village that boasts an impressive necropolis that overlooks the sea, complete with tombs that have been dug right into the rock face. Sampling Italian cuisine is one part of a holiday in Tuscany that should not be missed and guests never need to venture far from their mobile home in order to indulge. Lovers of outdoor dining will have the chance to dine on pasta, pizza and a range of other classic dishes in a charming rustic setting, while fine dining can be enjoyed on the terrace. The site boasts a well-stocked bar where a full range of beers, wines and other popular beverages is served. The large deli counter in the main campsite shop features a mouth-watering selection of cheese, meats and other goodies that are just waiting to accompany the freshly baked bread that is also available here every day. This luxury camping site also features a tobacconist, a souvenir shop and a selection of other shops for the convenience of guests.